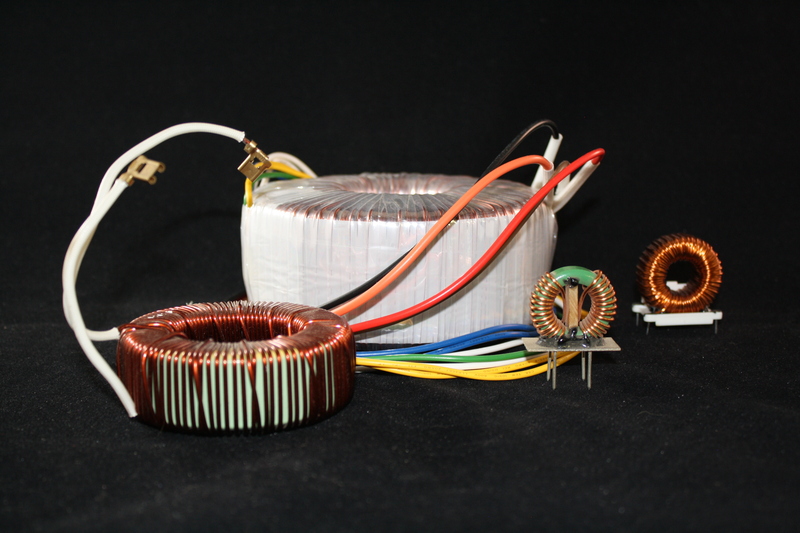 Toroidal Transformers have increasingly become thought of as the future of transformer designs due to their higher efficiency and smaller size in comparison to traditional laminated units. In today’s times, when energy conservation is so critical, the design of the toroid allows a higher efficiency and performance. Unlike a laminated transformer, the toroid is made from a strip of high quality grain oriented electrical steel, wound tightly to form a toroid, donut shape core, spot welded on the ends to keep from unraveling and typically coated or put into a case for protection. 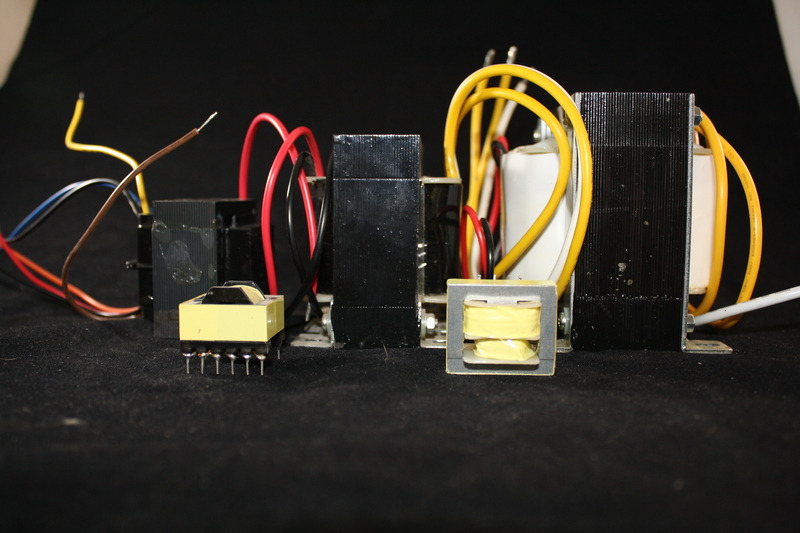 Normal efficiency of a 100% loaded laminated transformer is around 80% efficient. 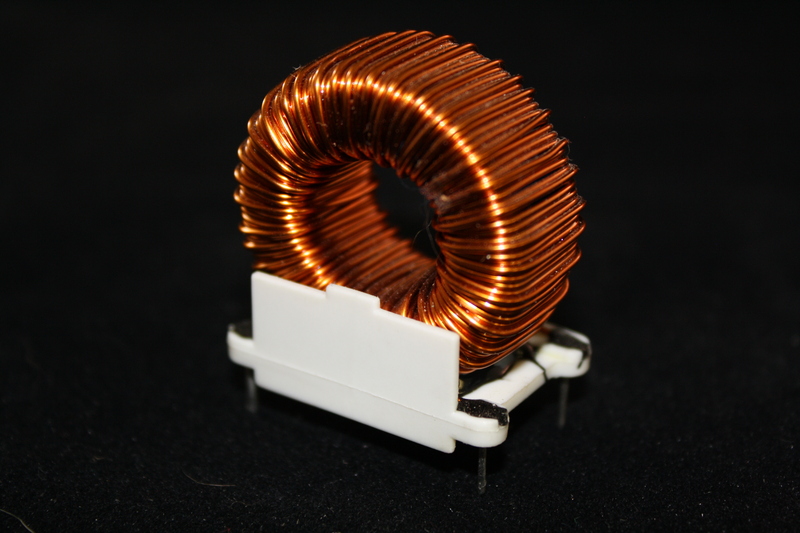 A toroidal transformer with the same 100% load is closer to 90% efficient. The excitation power of a toroid is approximately 1/16 that of a laminated unit. Depending on the application, this can add up to some nice savings on large VA rated transformers. Laminated EI transformers have gaps as they are stacked in their coils, thus creating losses, as well as the typical mechanical hum. Since a toroid is continuously wound, there are no gaps, thus the losses are less and there is virtually no mechanical hum. Toroidal transformers emit very low magnetic fields. 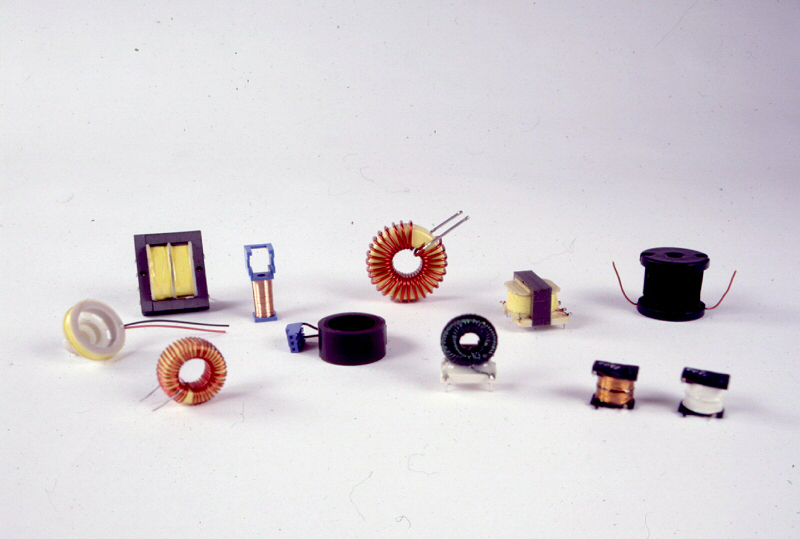 This makes the toroid an excellent choice for medical equipment, amplifiers, and CRT displays. 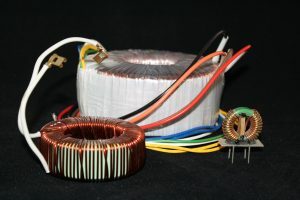 For a similar rated transformer, a toroidal transformer can be smaller in size by as much as 50%, thus making the unit lighter as well. Mounting a toroid is simple as well. Depending on the size, a toroid can be mounted easily using a PCB header, a SMT header, or simply by putting a single bolt thru the center of the toroid using a washer, normally provided with the unit. In some cases, we will also epoxy the center hole for a customer. A laminated unit typically requires 4 bolts for mounting. Are Costs Prohibitive on a Custom Toroid Transformer? Our customers are the ones who make the final decisions. However, we believe it is our duty to provide the lowest cost product for our customer to be successful. 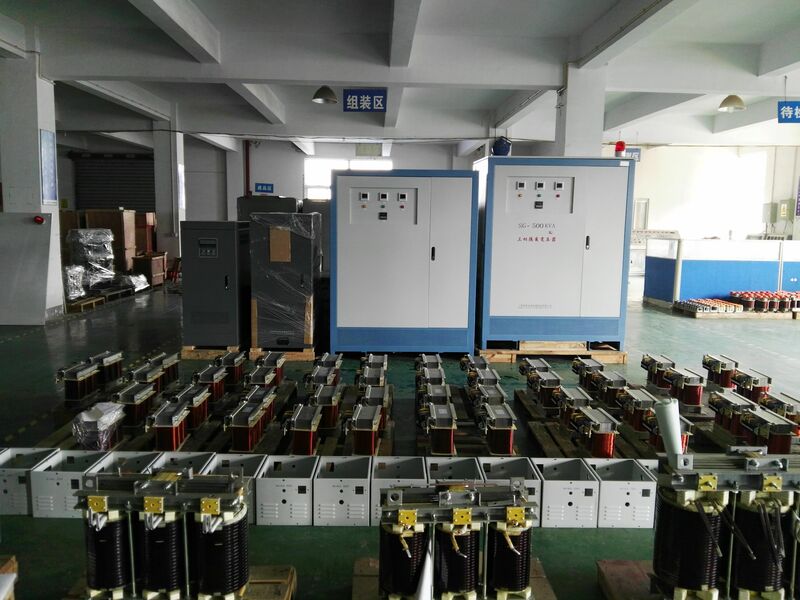 Start up costs for a custom toroidal transformer can be high due to the cost of buying specialized equipment needed to produce parts. Buying the toroidal winder is the easy part. However each custom toroid requires the proper shuttle, taping head, slider, and gear hear. Fortunately, since we have been doing this for over 10 years, we have already invested in that equipment. 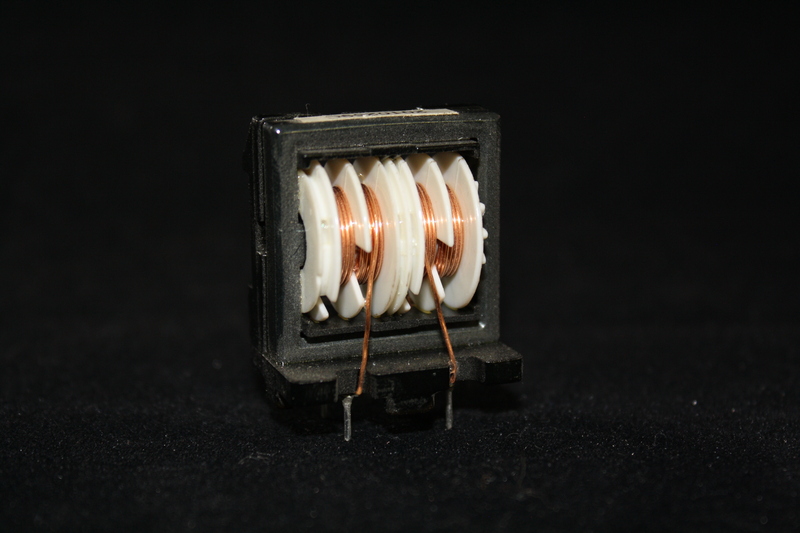 If you consider the weight and size of a toroidal transformer, your shipping costs are less. 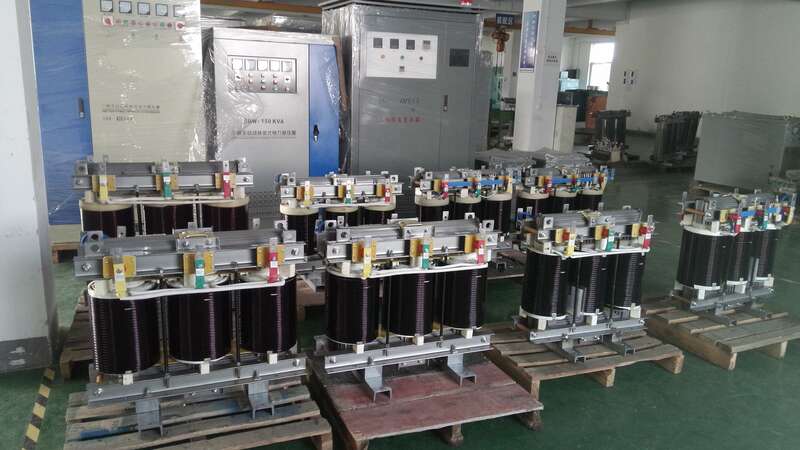 The labor to install a toroidal transformer is less. The power cost savings are less. 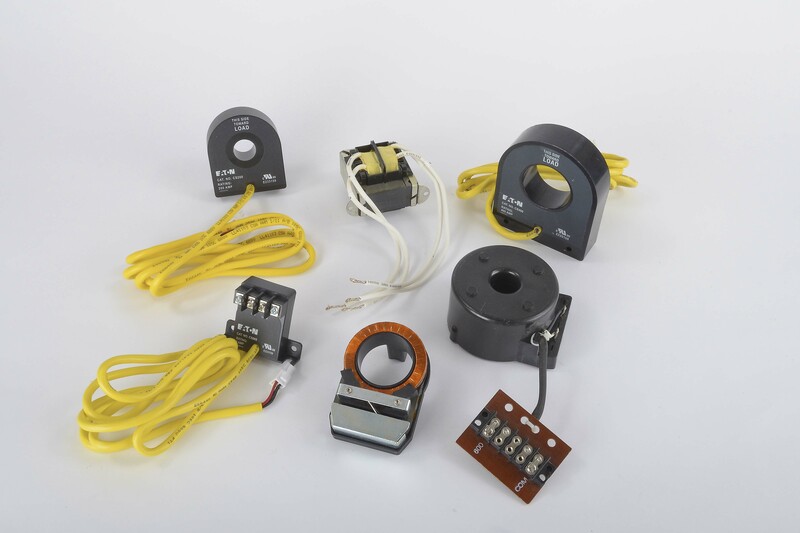 So in the long run, our customers are pleasantly surprised when they receive a toroidal transformer quote. 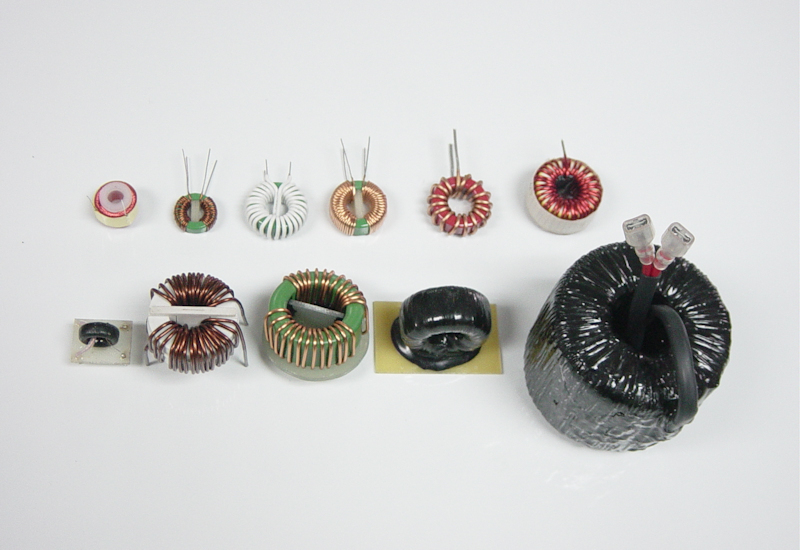 Let Galaxy Transformers review your Custom Toroidal Transformer needs.